Photo 045. The Bismarck Under Fire. The Bismarck under Fire. 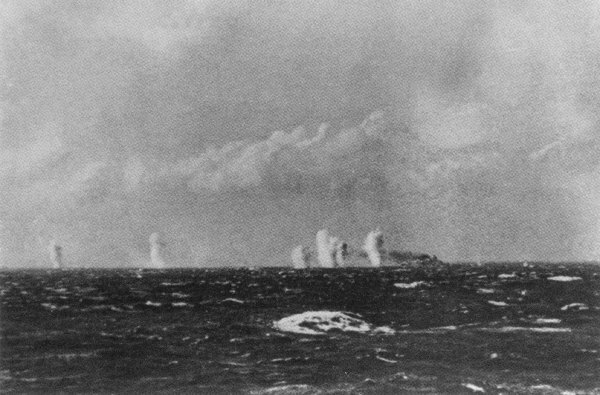 British shells fall near the Bismarck (right) on the morning of 27 May 1941. Photo taken from the heavy cruiser Dorsetshire.